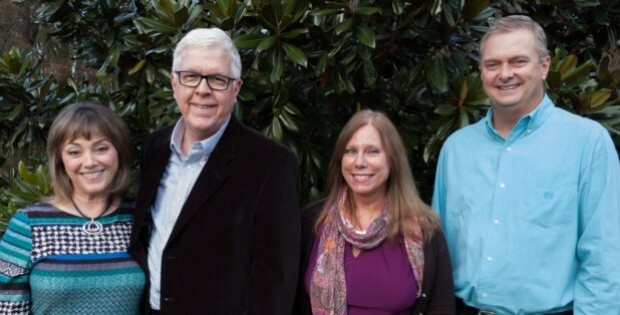 Throughout the course of the year Christian Counseling Associates of Raleigh offers Group Marriage Counseling Intensives. These programs are 3 days in duration and provide three to five couples the content of Individual Couples Intensives along with added benefits of group interaction. Participants in these group intensives are required to sign commitments of confidentiality so that all group members can feel safe enough to share their struggles and learn from each other. In our Group Intensives our counselors utilize our proprietary Connected Marriage Home© program. The program includes 10 essential relationship building blocks, a series of personal growth activities and Christ-centered personalized counsel. Our counselors balance group-based activities with ample time for full attention for each individual couple. Men especially seem to appreciate this format. Because we serve multiple couples in one setting, we are able to offer our Group Intensive services for a lower fee than our Individual Intensives. Click here to learn more about our Group Intensives Policies and Processes. To learn more about our Group Intensives, including the next scheduled session, or to make a reservation please fill out our online form to the right.